The first camp meeting at Hollywood was held on the Andrew Lynch farm in a large tent in 1903. The revival was a great success. It was after this first revival that the people of the Hollywood community decided to build a tabernacle. Mr. Lynch donated enough land to establish the Hollywood Tabernacle for as long as religious services were held. In 1904 a large number of people gathered to build the tabernacle. In only sixteen days it was ready for services that summer. The tabernacle was built with a shingle roof and open sides. The choir loft was the only part that was enclosed. There were three rows of pews. Straw was used in the aisles and around the altar. Kerosene lanterns were used for lighting. The tabernacle was located across the road from the Bruffey Memorial Methodist Church. Large white oak trees in the area provided for shade. Large picnic tables were located to the left rear of the tabernacle. These were used when all-day meetings were held and for family reunions. The first evangelist to hold services in the new tabernacle was the Rev. Strought. Rev. Hudgens was the song leader. The Rev. H. H. Henderson was pastor of the Monroe charge at that time. Special singing groups were an added treat to the services at that time, just as they are now. Some of those who participated in the special singing were Misses Vernie and Mable VanStavern, the Crites Family and the Rev. Monroe Bowling. Many people came from long distanced by horseback, horse-and-buggy and by foot to attend the meetings. 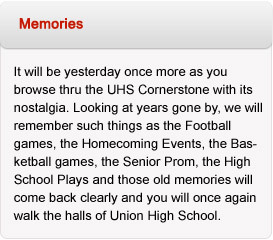 This was probably the biggest event in this part of Monroe County at that time. All seats in the tabernacle would be filled and people would be sitting and standing outside. It was during the depression years of the 1930’s that probably the largest crowds attended the services. A newspaper article from the late 1930’s indicate that the record attendance far exceeded 150 as 100 to 150 conversions were recorded. Over 50 were baptized during the revival. Later on the services were discontinued in the tabernacle and during this time when the tabernacle was not in use, the building deteriorated somewhat. Shortly after World War II, the people of the community reorganized to make needed repairs to the building and to re-establish the camp meetings. Services were again a great success from that time until 1955, when the old tabernacle mysteriously caught on fire late one November night and burned. Later on, this parcel of ” Holy Land” was sold by the Lynch/Hoke family to Bernie Elmore and a family home was constructed. In 1956, land was purchased from the Lynch/Hoke family on the opposite side of the road from the old tabernacle site, just north of the Bruffey Memorial Methodist Church with plans to build a new tabernacle on the new site. The construction of the new building was completed in the late summer of 1957. 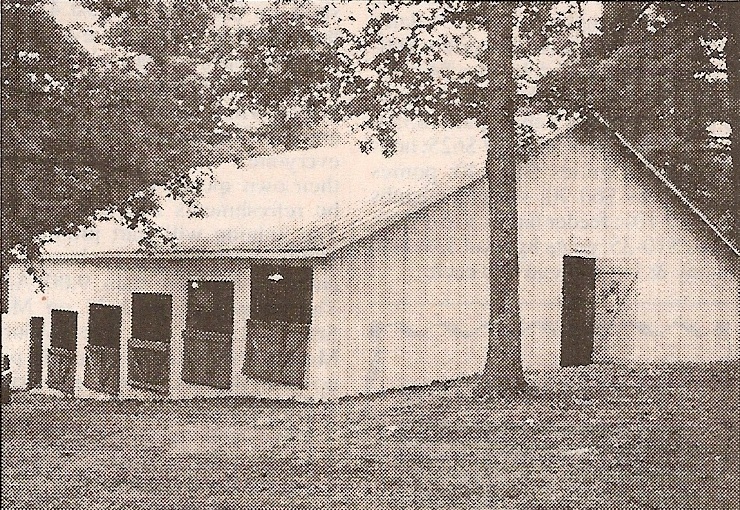 In 1958, the first camp meeting was held in the new tabernacle. The Rev. W.M. Bowling was the evangelist. Since then, annual camp meetings have been held in the new tabernacle. In 2007, the Hollywood community celebrated the 50th anniversary of the new tabernacle. Leviticus 25…refers to the “Year of Jubilee” as being celebrated every 50 years. Just as the people of Israel were being instructed by God to return to their own property, those that have attended the camp meetings in the past were requested to return that year to remember the people that obeyed God by building the Hollywood Tabernacle and the lives that have been affected by God’s saving power. This is truly “Holy Ground” as it was dedicated for the purpose of worshiping God and to tell others about Jesus.